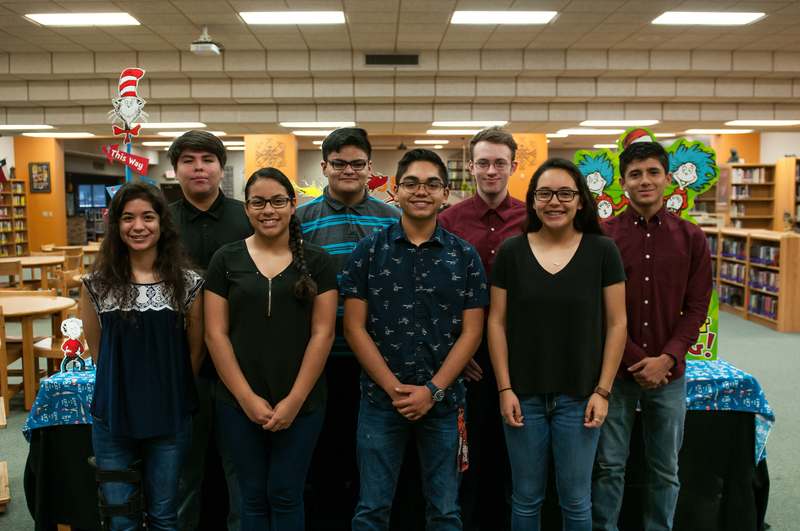 The Harlingen High School South Engineering Club was recently awarded a $5,000 grant for their ingenuity in the Nationwide Ford STEAM High School Community Challenge. The team took on the challenge of reducing waste production and created a new way to incentivize recycling with their Pick Up and Charge Up project. The grant will allow them to develop mobile charging stations that are powered by solar energy. Charging stations will be connected to recycle bins and charging will be a reward for recycling. The Ford STEAM High School Community Challenge focuses on students enrolled in career academies affiliated with Ford Next Generation Learning – an innovative educational program of Ford Motor Company Fund, the philanthropic arm of Ford Motor Company. The winning entries are sustainable, student-led proposals that involve community organizations and school resources to address real-life local needs. Students were encouraged to use their creativity and explore high-impact solutions in fields such as alternative energy, technology, design, and mobility. Winning projects were selected by a panel of Ford reviewers with 1st place awarded $20,000, 2nd place $10,000, and 3rd place receiving $5,000 grants to implement their inventive solutions. Ford Fund invests more than $18 million each year in forward-thinking education programs that help enable social mobility and create individual and community prosperity. Ford NGL is nationally recognized for transforming U.S. high schools with career-themed academies that give students an opportunity to learn by doing in fields they’d like to explore, such as engineering or healthcare. The Ford STEAM High School Community Challenge enhances the efforts of Ford NGL and Ford’s Corporate STEAM Council, which urges students to consider a technical education to secure good jobs and meet growing business demands, while also helping Ford develop a pipeline of skilled technical talent.